The performance anxiety problem begins to look too big to solve for most, impossible to actually eliminate, overwhelming and improbable. Each time you attempt to change something in your life and don’t, the more you actually believe that you can’t. It’s one of the laws of our mind which is what the subconscious mind perceives to be the truth, becomes the truth. Here’s the truth, you must come to that point when you are absolutely ready to change, (read that again please) then you have to of course take action and then you can become the change you seek. We get positive results by getting the facts, then finding the best solution to resolve it. In other words, getting up in front of people over and over again, isn’t going to resolve the problem regardless of what you may have read or heard to the contrary. The reason is simple. Performance anxiety is not a rational understanding by the conscious mind, it’s created by your subconscious mind to protect you from this imagined danger. ( It’s called a conditioned response) You will continue to respond to this situation exactly the same way you always have until you resolve it. I’m sure you’ve realized this already. Simply put you just can’t ignore it, or take time off from your career or your social life and then expect your performance anxiety to have disappeared on its own when you get back. In fact it is actually making your life, your health and your performance much worse. 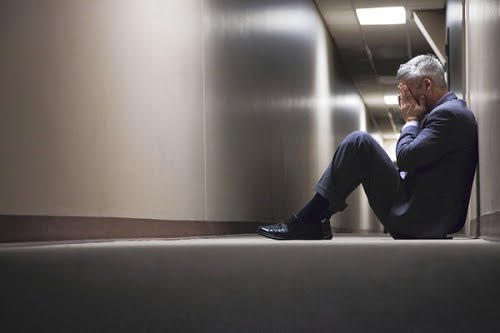 If you are self-medicating to get yourself through presentations or performances, you are throwing away your career, your health, and your important relationships and you still will not have resolved your performance anxiety. When you resolve your performance anxiety you’ll feel confident, in control and your performance will dramatically improve naturally, without the need for drugs or alcohol. Instead they help you to manage it in return for a variety of side effects that definitely diminish your performance. A lot of presenters and performers from actors to classical musicians, to salespeople, to lawyers, talk about the use of beta-blockers and anti-anxiety drugs as a method to control their performance anxiety or stage fright or fear of public speaking as it is often called. The bottom line here is that you must resolve your performance anxiety, when you do, the feelings associated with it will disappear and so will your need for prescription drugs. More often than not an individual will use avoidance as a means to manage their performance anxiety. The belief is that by avoiding such situations they are actually managing their problem. The truth is the total opposite, they are actually being managed by their fears and anxiety. For performers and presenters in particular, this choice can be a career threatening decision. At the very least, you pay a very high price with your mental and physical well-being, not to mention all the lost opportunities along the way. Today we use techniques that are simple, fast, relaxing and effective. You don’t have to spend months or years in therapy or thousands of dollars on anxiety programs that aren’t right for you. All you need is 1.) to understand the 6 points I just shared with you, 2.) make a clear decision to fix the problem of performance anxiety 3.) take action by finding that specialist who offers expertise and experience in fast change and 4) Understand that success involves trial and error and that your mistakes and imperfections are what make you human, prefer to be human. see failures as learning experiences. ← What Are The Main Causes For Depression?